There’s a latest low carb vegan diet among the crowd and it has some amazing health benefits to offer that will do more than just help you reduce weight. What is Low Carb Vegan Diet? This low carb vegan diet as the name suggests is a diet high in plant derived proteins such as beans, nuts and soy while it limits the consumption of carbohydrates. Although they said that there are certain produce that has more pesticides in them, so choose more organic foods. Low carbs=improved glucose levels. Doesn’t it sound just great? Or you might be wondering what is so great about it? Well, we know you are already familiar with these kind of high proteins, low carbs diet plan such as the Paleo diet. Then, what’s new about this diet plan? To begin with, unlike the paleo diet, this low carb diet plan is strictly based on vegan lifestyle. The paleo diet offered a lot of benefits such as improved glucose levels and weight reduction but at the same it was hard on your heart. Also, not all the people could follow the paleo diet, like the vegans or people suffering with weak digestion. As the paleo diet plan was largely based on animal derived proteins, it was a center of lot of debates made by the animal rights activist or by global nutritionists. So in order to cope with this,some researchers came forward and thought about swapping the non-vegan proteins with the vegan proteins and that’s how the alternative low carb vegan or “the Eco-Atkins diet plan” was created. Prior to that, there were several studies conducted on people following the low carb vegan lifestyle in which most of the protein intake was derived from animal food products. It was found that there was a twenty three percent higher risk of mortality in people who consumed animal based fats and proteins as compared to those who consumed vegetable derived fats and proteins. The well organized and vast study followed two groups – 44,548 males aged between 40 – 75 over twenty years and 85,168 females aged between 34 – 59 over the period of 26 years. The study consisted of questionnaires for collecting lifestyle, medical, and other important health related information along with many other vast questionnaires about food frequency over last 20 years to keep a track of the subject’s lifestyle and food intake activity. This research did a careful analysis of total risk of death from cardio-vascular disease, risk of death from cancer and other disorders. After total evaluation, the result indicated that there was a twenty three percent of increased risk of mortality in general in those low carb dieters who consumed animal fats and proteins. In addition to that, they had a twenty eight and fourteen percent increased risk respectively of dying from cancer and CVD in particular. On further analysis of these results,there was an increase in risk of dying from cancer that was limited to only colorectal-cancer alone; a research in alignment with the results of prior findings. While some of the pre-conducted researches have indicated that low carbs diet helps with weight reduction, only few years ago researchers have investigated the benefits for health from various versions of low carbohydrate diet. The results from these researchers strongly indicate that too much consumption of animal derived proteins can adversely affect the total health in a lot of different ways. This finding is not very surprising as we already know that meats, especially red meat is a considerable source of saturated fats that promotes clogging of arteries, thus, increasing the risk of various heart diseases. Another major finding was that the people who consumed animal based proteins in excess had a higher body mass index (BMI) and were more likely to be addicted to smoking, and had low consumption of vegetables and fruits. Not only the subject’s food choices and lifestyle were below an ideal diet, but also their diet plan lacked in important antioxidants that fight free radicals. Their diet plan was devoid of fiber obtained from vegetables and fruits that should have protected them from certain kinds of cancer. Although too much consumption of carbohydrates is health damaging, but a limited consumption of right carbs is always good. But for that you need to be aware about different types of carbs and their effects on our body, so that you can eat them wisely. Carbohydrates play a very essential role in our daily nutrition as they are our body’s basic supplier of energy and are very crucial for the right functioning of every factor of our body from different brain activities to muscle contractions. Simple carbohydrates: The name itself tells us a lot about this kind of carbohydrates. They are simple mono saccharides (typically consist one sugar molecule) or disaccharides (consists two sugar molecules). The simple carbohydrate includes refined processed carbohydrates, that are easy to digest and upon completion of metabolic actions, they rapidly release sugar into our blood stream. Some of the common examples of simple carbohydrates are white bread, biscuits, pastries and honey. Complex carbohydrates: Complex carbohydrates are starchy carbohydrates that are made from bonding of many simple sugars. The complexity of these carbohydrates depends upon the number of simple sugars joined together. More simple sugar bonds = more complex carbs and the longer it takes for its complete breakdown. Unlike simple carbohydratethat leaves us feeling empty stomach, eating complex carbohydrates makes us feel full, thus decreasing feeling of fatigue and irregular hunger. The best types of complex carbohydrates are those that have undergone minimum or no processing at all. Examples of such foods are whole grains like brown rice, oats, barley, rye and spelt. Also According to the nutritionists, the bulk of our food intake should consist of these complex carbohydrates as they are the excellent source of fiber and nutrients. There are a lot of benefits of opting to a low carb vegan diet especially for the people diagnosed with diabetes. Let us take a good look at why a low carb vegan diet has become a favorite diet among a large number of people with diabetes. In general metabolism, the more amount of carbs we eat, the higher will be the glucose levels in our blood stream right after feasting. If your after feasting glucose levels are higher than they are supposed to be, then you should surely think about reducing the intake of carbs as it can help you with decreasing your after prandial blood test readings. Also as we know, too high glucose level does not help diabetic Patients. More and more scientific studies have found that diets low in carbs provide great improvement in controlling blood glucose levels. By directly decreasing the hyperglycemia, symptoms that are less chronic like insatiable thirst and frequent urge of urinating can be reduced and if a strict diabetes control is established, then the risk of progressive diabetic complication can also be minimized. Carbs are often known as an energy supplying macronutrient but that holds true only if your body can keep up with insulin. If your body cannot keep up with insulin, which is always the usual case with type 2 diabetes people, then there can be an increase in glucose levels in blood stream, thus, making you feel more lethargic and tired. Also, by opting for a low carb vegan diet, you may be decreasing your daily food calorific intake. This would later result in feeling of tiredness in some people, but this feeling will pass away within couple of weeks, once your body gets adjusted to the new low carb diet. As we have seen above that a low carb vegan diet helps us to achieve the desired levels of blood sugar, it can also help us to increase the mental clarity. It can help us to clear the brain fog which usually occurs with increased blood sugar levels. Brain fog is a mental disorder in which our ability to think clearly is hampered.Scientific studies conducted on several people have shown us that a low carb vegan diet can help people to improve their clarity of mind. By consuming less carbs, you can decrease your body’s need of insulin and thus, it will allow some people to reduce or in some cases completely eliminate the need of medication.Reducing the dependency of medication can be very helpful for people suffering from type-2 diabetes, as it will lower the chances of side effects of medications. But there is one thing that people on tablets and insulin need to keep in mind and that is they should be aware that decreasing carbs intake should be done carefully as there’s a risk of suffering from dangerous hypoglycemia. Before you make changes in your carbs intake, please make sure that you consult with your doctor for medical advice. If your low carb vegan food is appropriately adjusted to your medications, then you’ll find that your chances of suffering from severe hypoglycemia are decreased. For the people who use insulin, this can prove to be very beneficial. A diet low in carbohydrates will ultimately help you in reducing the quantity of insulin while feasting and thus, the chances of any highs and lows in blood sugar levels will be reduced. Though all of them strictly eat vegan food, there are many different types of Vegetarians. But not a single one of them eats fish or meat. The Lacto vegetarians or vegetarians consume eggs and dairy products but the vegans abstain themselves from eating any animal derived foods. Eggs and dairy products are very low in carbs: Dairy products and eggs, without adding any sugar are high in both fats and proteins and low in carbohydrates They are perfect for lacto-ova-vegetarians but not for vegans. Greek yogurt, yogurt and kefir: Choose full fat, unsweetened versions. For additional probiotic health benefits, try to find the kinds with live cultures. Eggs: Try to choose omega 3 enriched, pastured or free range eggs if possible. Eggs contains very little amount of carbohydrates. Butter (Grass-fed): Butter derived from pasture raised cows is very healthy and it is fine to eat in moderation while being on a low carb diet. Cheese: Cheese is tasty and very nutrient dense. It can be used in all the major recipes. All of the above mentioned foods are rich in B12 vitamin, which is not usually found in total vegan diet. Lacto vegetarians can obtain all necessary B12 vitamins from these foods, whereas vegan people need to take supplements of the same. There is a lot of variety in plant derived low carbohydrate foods. And most of these foods are high in fats and protein. Fruits: Various berries like blue berries and strawberries can be consumed while been on a low carbohydrate diet. Depending upon how much carbohydrates you need to consume, other fruits are okay to eat as well. Vegetables: Most of the veggies are low in carbohydrates. This includes broccoli, eggplant, onions, cauliflower, tomatoes, Brussels sprouts and bell peppers. Fat rich fruits: Olives and Avocados are extremely healthy. They are high in good fats but low in carbohydrates. 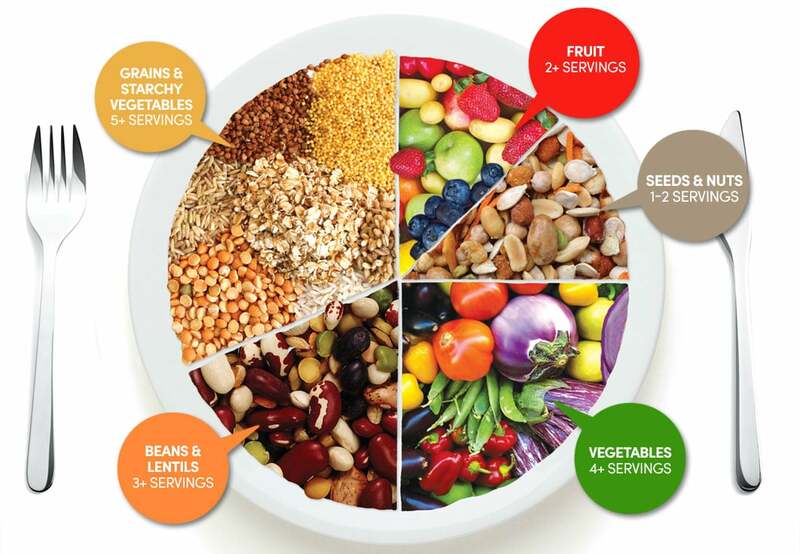 Seeds and nuts: Seeds and nuts are high in fats and proteins but low in carbohydrates. This includes Walnuts, almonds, peanuts, macadamia nuts and pumpkin seeds. Soy: Foods like tempeh and tofu are low in carbohydrates but high in fats and proteins. This makes them completely acceptable for people on a low carbohydrate vegan/lagto vegetarian diet. Legumes: Legumes are also a great source of proteins. This includes chick peas, green beans and others. Healthy beneficial fats: Avocado oil, extra virgin olive oil and coconut oil. Chia seeds: Most of the carbohydrates are fiber in Chia seeds, so nearly all of their calories come from fats and proteins. Dark chocolate: Eating Dark chocolates that have 70-90% of cocoa content are excellent for health as they are packed with anti-oxidants and good fats while being low on carbohydrates. Low carb vegan smoothies are great for people who have time issues while preparing morning breakfast. You can easily make a quick low carb tasty smoothie to carry it with you so you can stay healthy even on the go. All you need to do is to mix one cup of almond milk(unsweetened) with 1/2 bowl of tofu, 1 tablespoon of cocoa(unsweetened), half avocado and a pack of carbohydrates free sweetener(artificial) for making a drink with just four grams of carbohydrates. Or, 1/4 cup of cheese(ricotta) blended with one cup of almond milk, 1 tablespoon of vanilla extract, one tablespoon of cinnamon and ice will make for an excellent cinnamon treat delivering just three grams of carbohydrates. If you aren’t more of a sweet tooth person, then also you can still enjoy a smoothie that is less sweet. You just need to mix one cup of soy milk (unsweetened) with half cup of raw kale, one cup of sliced cucumber and one fourth cup of blueberries(fresh) for a healthy breakfast with only 9 grams of total carbohydrates. What is the most appropriate amount of carbohydrates to consume? As there is no particular fixed value of daily consumption of carbs, it is very important to try different variations and find out a way that suits your personal carbs intake preferences and goals.But just to give you an overview of carb consumption, you can refer the following guidelines. 100 to 150 gm. of carbohydrates per day: This is a typical range of carb consumption and it is excellent for people who work-out alot or for those who are highly physically active. 50 to 100 gm. of carbohydrates per day: This range of carb consumption is decent and good for people who don’t work-out that much. Following this range will also help you in shedding few pounds. 20 to 50 gm. of carbohydrates per day: With such low intake of carbohydrates, you are surely going to experience less hunger and significant reduction in body weight. Following this range of carb intake will put your body into ketosis, thus, resulting in burning of bad stored fats. Lacto-Vegetarians can easily adapt to this low range, but it will be little hard for vegans. The 100 to 150 gm of carbs per day category would be more appropriate for vegans. Also, while making changes to your dietary lifestyle, it is highly recommended to use a nutrition tracking tool. The tracker should be used for atleast few weeks/days while you are still adjusting your carb intake, thus, making sure that you get adequate amount of fats and proteins. Below is a seven days sample menu for a lacto-ova-vegetarian diet that is low in carbohydrates. You can adapt to this program depending on your own preferences and needs. Breakfast: Olive oil fried vegetables and eggs. Lunch: A handful of nuts and four-bean salad with olive oil. Dinner: Gratin or cheese cauliflower baked with potatoes and broccoli. Breakfast: Berries and full fat Greek yogurt. Lunch: Leftover potato broccoli-bake from last night. Dinner: Portabella mushrooms grilled with buttered veggies and Avocado. Breakfast: Blueberries with coconut milk and smoothie. Lunch: A handful of nuts, cucumber and carrot stick with hummus dips. Dinner: Stir fried tempeh with Veggies and cashew nuts. Breakfast: Olive oil fried Egg omelet with veggies. Lunch: Stir fried tempeh leftover from last night’s dinner. Dinner: Chili beans along with cheese, salsa and sour cream. Breakfast: Berries and full fat yogurt. Lunch: A handful of mixed nuts and quinoa salad dressed with olive oil. Breakfast: Baked beans, fried eggs and avocados. Breakfast: Nuts, full fat yogurt and strawberry smoothie. Lunch: Last night’s leftover moussaka. Below are the top 5 problems associated with following a complete vegan protein rich low carb diet. Since the dawn of the beginning of human race, we have been omnivorous. We function well when we eat both plants and animals. There are certain vitamins and nutrients that can be gained only from pants like vitamin C and then there are others that can be obtained only from animals.One such vitamin that is obtainable only from animals is vitamin B12. Vitamin B12 is a liquid (water) soluble vitamin that is found in each and every cell functioning of human body. This vitamin is very necessary in normal functioning of brain and blood formation. As the vitamin B12 is very important for sustaining life, it isn’t available in any quantity in plants (except in some kinds of algae). It is the most important nutrient by far. And vegans should really be concerned about it. And as a matter of fact, deficiency of vitamin B12 is a very common picture in vegans. There was a study conducted on vegans and it showed that 92% of vegans were low on this important nutrient. But hold on, B12 isn’t the only deficient vitamin; it is just the tip of an iceberg. There are several other nutrients that are lesser known and can be found only in animal derived foods. They too are critical for human body’s optimal functioning. Animal proteins: The proteins derived from animal consist of all the right ratios of necessary amino acids. They are very essential for proper bone and muscle mass development. Just to name a few, vegan people do not get any of the animal proteins and that can have an adverse effect on their body composition. Creatine: An energy reservoir is formed in the cells of our body with the help of creatine. Various researches indicate that vegans are creatine deficient, and that can have negative effects on brain and muscle functioning. Carnosine: Carnosine protects our body from many degenerative processes and can also help in minimizing the effect of aging. Carnosine is found only in animal derived food product. Docosahexaenoic Acid or DHA: DHA is an extremely active form of omega-3 fatty acid in our body and it is mainly found in animal derived food products. The plant or vegan form of omega 3 fatty acid, ALA is not appropriately converted to docosahexaenoic acid. Two of the other nutrients that have been ignored by vegans are cholesterol and saturated fats. Cholesterol is a very essential molecule in our body and it is a part of every cellular membrane. Also for making growth hormones like testosterone, cholesterol is used. Researches indicate that increased testosterone levels correlates with the intake of saturated fats. It is not surprising to us that vegetarians and vegans have very low levels of testosterone as compared to meat eaters. Take home message: Vegans are low on many essential nutrients like creatine and vitamin B12. Scientific studies indicate that vegans have low testosterone level than their animal products eating counter parts. Studies that support the low carb vegan diet are very few. The vegan people claim that their low carb vegan diet is healthier than other diet plans. But this many not be true as there are no controlled studies that indicate these low carb diets are better than others. Also, these vegan proponents claim that high fats, low carb diets are bad and that the evidences transparently show vegan diets to be better. However, this isn’t the case as trials have been conducted in a highly controlled manner (gold standard). One of the studies compared the near vegan, low fat diet to the high fat, low carb diet. This study clearly indicated that the low carb, high fat diet causes more improvements in almost all health related sections, but some of them were statistically insignificant. The low carb high fat group lost significant 10.4 pounds of weight whereas the near vegan low fat group lost only 5.7 pounds. The low carbs, high fats group had more decrease in blood pressure. They had more increase in good cholesterol (HDL). Also there was a greater decrease in triglycerides. It was decreased by 29.3 mg/dL while being on low carb, high fats and only 14.9 mg/dL on near vegan, low fat diet. The people who followed the low carb, high fat diet were about two times more likely to make it through the completion of study, showing that the low carb, high fat diet was simple to follow. In simple words, the low carbs, high fats diet had many beneficial advantages whereas the near vegan, low fats diet had a poor performance in measured health markers. Now, there are also some researches that indicate health benefits and lesser mortality rates in vegans and vegetarians, such as the research of seventh day Adventists. But the negative side of these researches is that they are just the “so called observed” studies. These kinds of studies indicate only the correlation and not the causation. The vegetarians are of-course healthier as they are very conscious about their overall health. They are more likely to exercise and less likely to smoke etc. These things have nothing to do with ignoring animal derived foods. In another research of 10k subjects, where both the non-vegetarians and vegetarians were conscious about their health, there was rarely any mortality difference between these groups. One controlled study indicated that a vegan diet was far effective and beneficial for diabetes diagnosed people than the recommended official diet plan by the ADA (American diabetes association). But, however, other low carbohydrate diets were also studied for the same and it led to even some more effective health benefits. Though, a vegan diet may be good as compared to the other nutrition organization’s recommended low fat diet, but almost any diet plan fits in such category. Take home message: Contrary to all the agenda, there is not much evidence about the vegan diet been better than other diet plans. The nature of most of the researches is observational. Vegan diet followers often make fake claims. Some of the people from vegan community tend to be dishonest while trying to impose their virtues of vegan diet on others. They actively use fear mongering and lies to make people believe that animal derived foods and fats are totally bad. In spite of all of the agenda, there is not really much evidence that eggs, meat or animal based nutrients like cholesterol and saturated fat cause harm. People promoting the vegan diet should not use lies and scare tactics to make people feel bad about consuming animal derived foods that are totally healthy (if fed naturally and unprocessed). They should become more honest.We would also like to mention the holy book of veganism – The china study that highly praises the vegan diet. It was a highly observed study by the researchers who liked their theories. They mentally picked the data from research just to support their end conclusion and totally eliminated the data that wasn’t fit. We recommend you to take a look at these critics: The china study (Fact or fallacy), what Dr. Campbell won’t tell you about the china study. Also, a recent finding came out from china study and it indicates that males who consumed red meat have low risk of heart disease and females who consumed red meat had a low risk of developing tumors. Take home message: Vegan proponents usually use scare tact’s and fear mongering for convincing the people to resist eating animal derived foods. They often flaunt the china study for proofs, which has been already discredited. Vegan based Diet works only for few people and not for others. If we take a look at vegan transformation stories, we can readily find people who have experienced some of the most amazing health benefits while being on a vegan diet. We have got no reason to think that these crowds of people are lying. But at the same time, we need to understand that the evidences are anecdotal and not scientific. There are a lot of such kinds of success stories for almost all kind of diets. On the other side, there are tons of people who swear that they had some terrible experience while being on a vegan diet. According to the studies, there are many short term good health benefits of vegan diet, but following this diet plan for a long time will kick in the nutrient deficiencies at some point (part of which can be gained from supplements). Vegan diet do not just suggest to avoid animal derived foods, but they also suggest to stay away from refined carbs, added sugars, trans fat and processed vegetable oils.They also suggest that people should start working out and stop smoking. So there are many people who can easily understand from where the beneficial effect of vegan diet comes from. The above foods are very unhealthy and this is something that we can agree upon. We believe that eliminating these foods is the reason of such visible benefits. Also, we are 100% certain that a vegan diet that allows an occasional consumption of a fatty fish or a whole egg will be very much appropriate and healthier in a long period than a diet plan that totally avoids animalderived foods. Take home message: Low carb vegan diet suggests that people should avoid refined carbs, added sugars, trans-fats and vegetable oils. This is certainly the reason of the amazing health benefits, but not the elimination of unprocessed animal derived foods. There are apparently no reasons to totally avoid unprocessed animal derived foods. Human beings have been consuming animal meat since thousands of years or millennia. Our evolution happened in this way. Our metabolism is totally capable of assimilating, digesting, absorbing and making complete use of almost all essential nutrients derived from animal foods. It is right that consuming meat that is processed is harmful. Although processed animal meat is harmful, the same does not hold true with the unprocessed, natural meat. Red meat that is unprocessed has been a center of controversies in the past but in actual it doesn’t have anything to do with heart diseases, risk of death or diabetes. Though, it has a very slight linkage with increased cancer risk but it is most probably because of over cooking and not the red meat itself. A research of almost 350 k people found that there was no link between the cardiovascular disease and saturated fats.Similarly, researches on eggs shows no bad effects at all. Numerous long period researches have been conducted on consumption of eggs, as the yolk of the egg is cholesterol rich, but no negative effects were found. In reality, the catch is that the animal derived foods like fish, meat, dairy products and eggs are highly nutritious for those who can tolerate them. These animal based foods are packed with healthy fats, minerals, high quality proteins, vitamins and many lesser known essential nutrient that have beneficial effect on human health. Though, there are some moral and environment related reasons that should be considered while eating animal derived foods, but there is absolutely no scientific data available that can back up this theory of totally avoiding the consumption of animal based foods. Diets low in carbs, if followed for a long period of time may present a lot of health problems. Such low carb diet plan is more likely to be low in fiber quantity, thus, leading to digestive problems like constipation. The low amount of carbs in diet means our body won’t have a readily available reservoir of glucose – Which is a primary source of fuel for our brains. Further this may cause headaches, poor concentration as well as dizziness. Some of the other side effects to look out for are nausea, halitosis and insomnia. Also, the increased consumption of protein in our diet may place an extra load on our kidneys, thus, leading to problems related with bone health. A very strictly based low carbohydrate vegan diet may help you reduce your bad cholesterol levels and at the same time decrease your cardiovascular related risks. But the million dollars question that stands is – Can you make the low carb vegan diet as your permanent eating lifestyle? Because the hardest part for most of the people will be eliminating the entire animal derived product, eating a completely plant based diet and limiting the carbs consumption. If you are really keen about following the low carb vegan lifestyle, then you should firstly consult a good registered nutritionist, just to know and be on the safe side that this new diet plan fulfills all of your required dietary needs. If the low carb vegan food feels like too restrictive for you, then you can try modifying it into your own different customized versions. For example: you can increase the amount of vegan proteins by taking additional supplements. Also, just in case if you get a meatcraving then try to stick with low fat or lean animal food product. And atlast but not the least, top that with a dose of frequent physical workout for staying fit and fine – both mentally and physically. Would you have a quick moment to discuss a couple approaches where my I think we can help develop extra visitors/calls to dirtyweights.com? Curious: Would it be OK to have mypartners briefly give you a buzz to chat about what I mean? 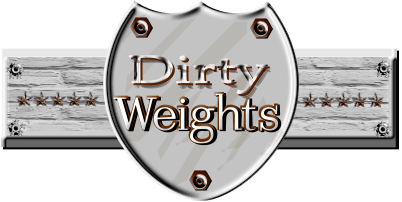 If extra leads/sales with dirtyweights.com sounds interesting, I just need you to respond back here, and well get in touch. Thank you for your opinion… Best of luck!